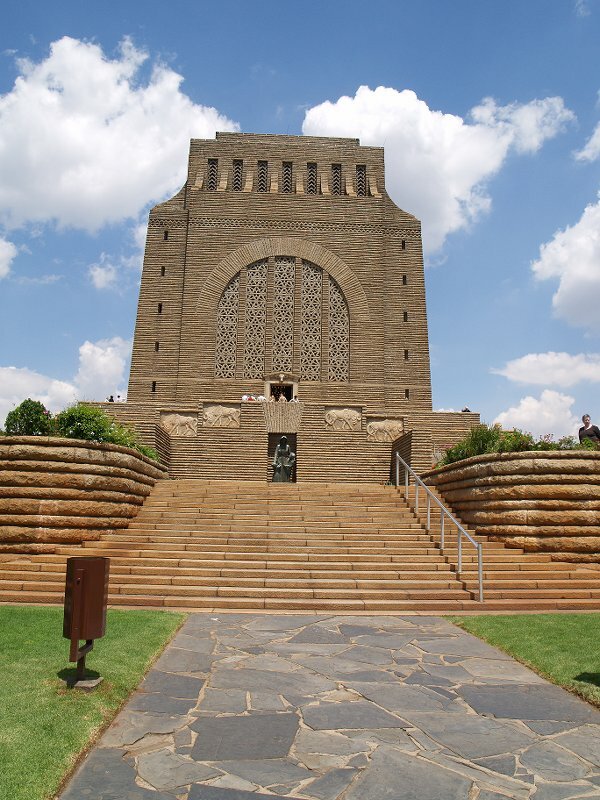 Pretoria is a city in the northern part of Gauteng Province, South Africa. 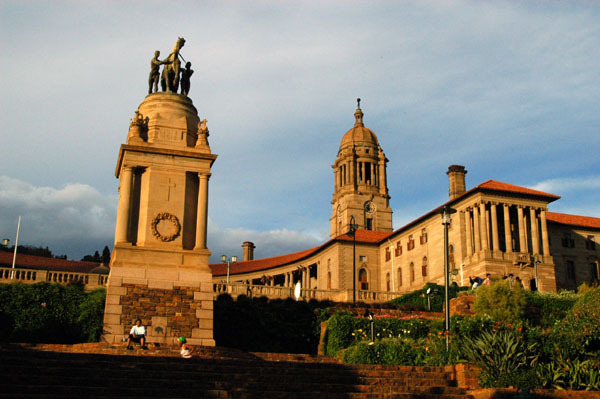 It is one of the country's three capital cities, serving as the executive ,administrative and de facto national capital; the others are Cape Town, the legislative capital, and Bloemfontein, the judicial capital.Pretoria is divided into three sections: pretoria west, east and north. Pretoria is contained within the City of Tshwane Metropolitan Municipality as one of several constituent former administrations ,among which also Centurion and Soshanguve. 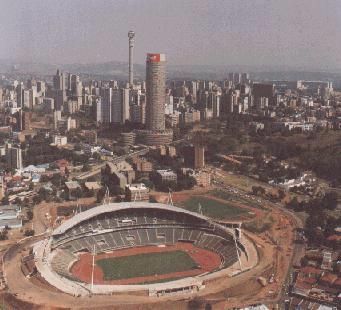 Pretoria itself is sometimes referred to as "Tshwane" due to a long-running and controversial proposed change of name, which has yet to be decided, as of 2012. 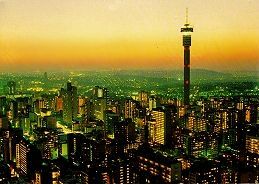 Johannesburg , is the largest city in South Africa, by population. Johannesburg is the provincial capital of Gauteng, the wealthiest province in South Africa, having the largest economy of any metropolitan region in Sub-Saharan Africa.The city is one of the 50 largest metropolitan areas in the world, and is also the world's largest city not situated on a river, lake, or coastline. It claims to be the lightning capital of the world, though this title is also claimed by others. 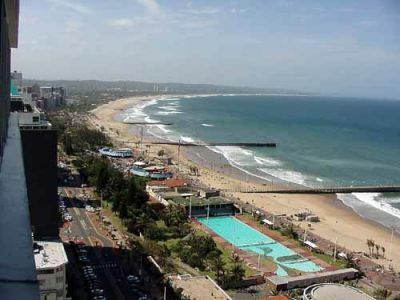 Durban is the largest city in the South African province of KwaZulu-Natal. 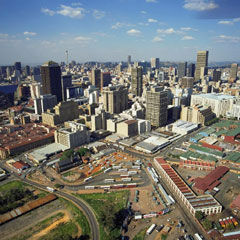 It is also the third largest city in South Africa after Johannesburg and Cape Town. It forms part of the eThekwini metropolitan municipality. 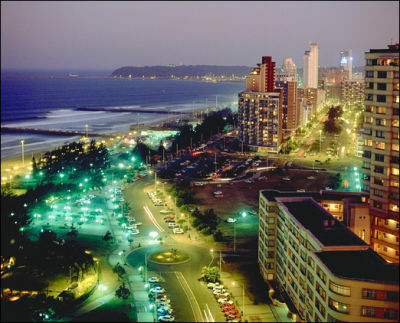 Durban is famous for being the busiest port in South Africa. It is also seen as one of the major centres of tourism because of the city's warm subtropical climate and extensive beaches. The municipality, which includes neighbouring towns, has a population of almost 3.5 million, making the combined municipality the biggest city on the east coast of the African continent. Archaeological evidence from the Drakensberg mountains suggests that the Durban area has been inhabited by communities of hunter-gatherers since 100,000 BC. These people lived throughout the area of present day KwaZulu-Natal until the expansion of Bantu farmers and pastoralists from the north saw their gradual displacement,incorporation or extermination. Cape Town is the second-most populous city in South Africa after Johannesburg, and the provincial capital and primate city of the Western Cape. As the seat of the National Parliament, it is also the legislative capital of the country. It forms part of the City of Cape Town metropolitan municipality. The city is famous for its harbour as well as its natural setting in the Cape floral kingdom, including such well-known landmarks as Table Mountain and Cape Point. 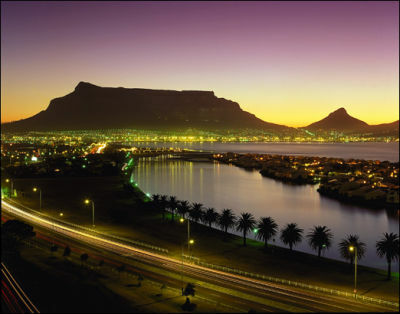 Cape Town is also Africa's most popular tourist destination. Located on the shore of Table Bay, Cape Town was originally developed by the Dutch East India Company as a victualling (supply) station for Dutch ships sailing to Eastern Africa, India, and the Far East. 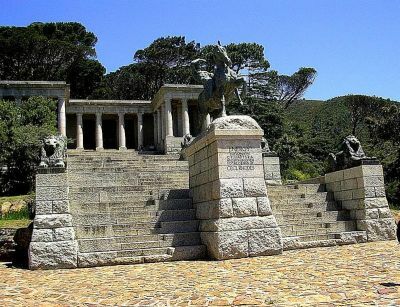 Jan van Riebeeck's arrival on 6 April 1652 established the first permanent European settlement in South Africa. Port Elizabeth is one of the largest cities in South Africa, situated in the Eastern Cape Province, 770 km (478 mi) east of Cape Town. 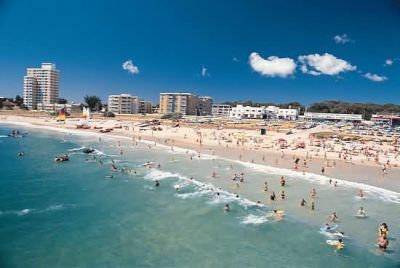 The city, often shortened to PE and nicknamed "The Friendly City" or "The Windy City", stretches for 16 km along Algoa Bay, and is one of the major seaports in South Africa. 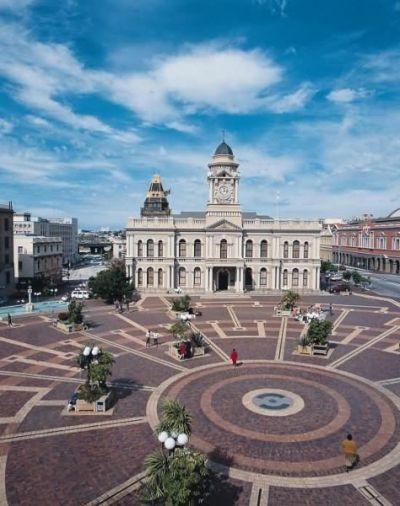 Port Elizabeth was founded as a town in 1820 to house British settlers as a way of strengthening the border region between the Cape Colony and the Xhosa. It now forms part of the Nelson Mandela Bay Metropolitan Municipality which has a population of over 1.3 million. 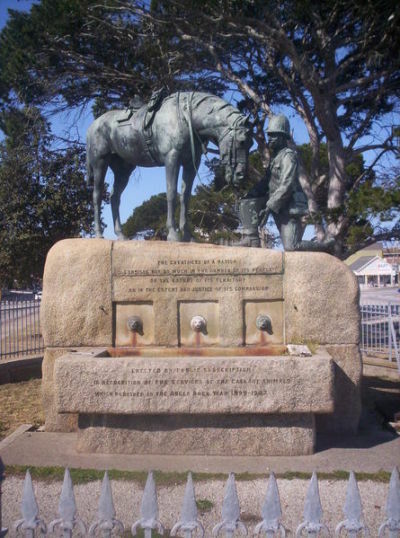 During the Second Boer War, the port was an important transit point for soldiers, horses and materials headed to the front by railway. While the city itself did not see any conflict, many refugees from the war moved into the city. These included Boer women and children interned by the British in a concentration camp. Following that war, the Horse Memorial was erected to honour the tens of thousands of horses and mules that died during the conflict. Polokwane, meaning "Place of Safety", is a city in the Polokwane Local Municipality and the capital of the Limpopo province, South Africa. 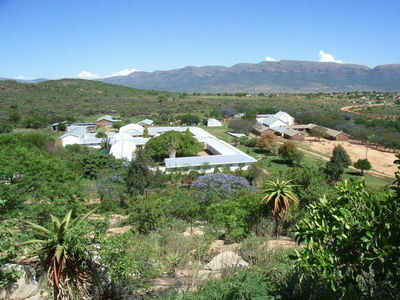 It is also often referred to by its former name,Pietersburg. Polokwane is a major urban centre, the biggest and most important north of Gauteng. Polokwane was one of the host cities of the 2010 FIFA World Cup.In the 1840s, Voortrekkers under the leadership of Andries Potgieter established Zoutpansbergdorp, a town 100 km to the north west. This settlement had to be abandoned because of clashes with the local tribes. They founded a new town in 1886 and named it Pietersburg in honour of Voortrekker leader Petrus Jacobus Joubert. The British built a concentration camp at Pietersburg during the Boer War to house almost 4,000 Boer women and children. 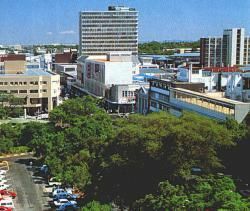 The town officially became a city on April 23, 1992; on February 25, 2005, the government declared the official name of the city as Polokwane, a name that was generally in use by the speakers of Northern Sotho. 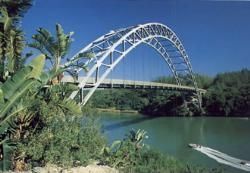 Port Shepstone is situated on the mouth of the largest river on the south coast of KwaZulu-Natal, South Africa, the Mzimkulu River ,the great home of all rivers. 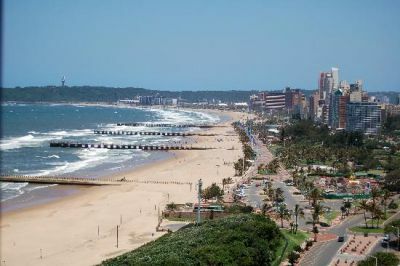 120 kilometres (75 mi) south of Durban, it is the administrative, educational and commercial centre for southern Natal. Port Shepstone was founded in 1867 when marble was discovered nearby and is named after Sir Theophilus Shepstone of the Natal government of the 1880s. William Bazley built a harbour and the first coaster entered the harbour on the May 8, 1880. In 1882 a party of 246 Norwegian immigrants settled here and played a large part in the development of the area. After the opening of the railway to Durban in 1901 the harbour fell in disuse and eventually the river silted up again making it impossible to use. The 27,000 candela lighthouse still stands at the mouth of the Mzimkulu River. East London is a city on the southeast coast of South Africa, situated at 32.97°S and 27.87°E in the Buffalo City Metropolitan Municipality of the Eastern Cape province. The city lies on the Indian Ocean coast, largely between the Buffalo River and the Nahoon River, and hosts the country's only river port. East London today has a population of over 400 000, with over 1.4 million in the metropolitan area.The city formed around the only river port in South Africa and was originally known as Port Rex. This settlement on the West Bank was the nucleus of the town of East London, which was elevated to city status in 1914. 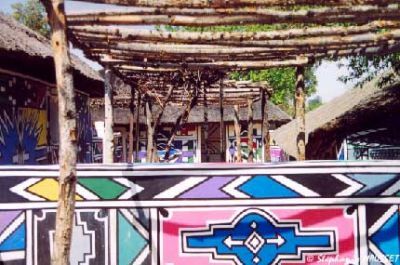 During the early to mid-19th century frontier wars between the British settlers and the local Xhosa inhabitants, East London served as a supply port to service the military headquarters at nearby King William’s Town, about thirty miles away. A British fort, Fort Glamorgan, was built on the West Bank in 1847, and annexed to the Cape Colony that same year. 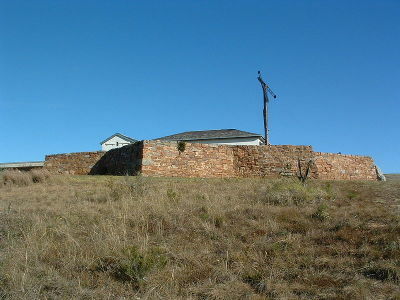 This fort is one of a series of forts the British built, that include Fort Murray, Fort White, Fort Cox Fort Hare and Fort Beaufort, in the border area that became known as British Kaffraria. 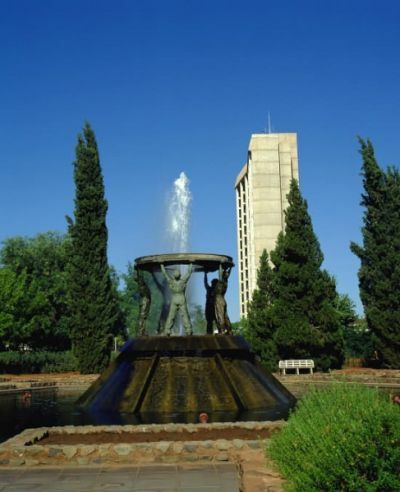 Bloemfontein is the capital city of the Free State Province of South Africa; and, as the judicial capital of the nation, one of South Africa's three national capitals ,the other two being Cape Town, the legislative capital, and Pretoria, the administrative capital. 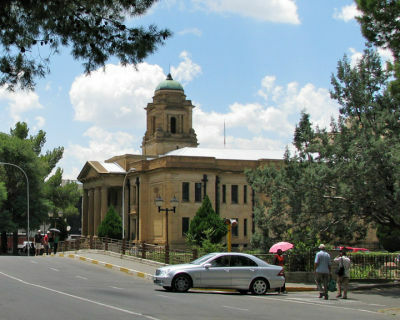 As the capital of the Orange Free State Republic the growth and maturing of the Republic resulted in the growth of the town. Numerous public buildings that remain in use today were constructed. 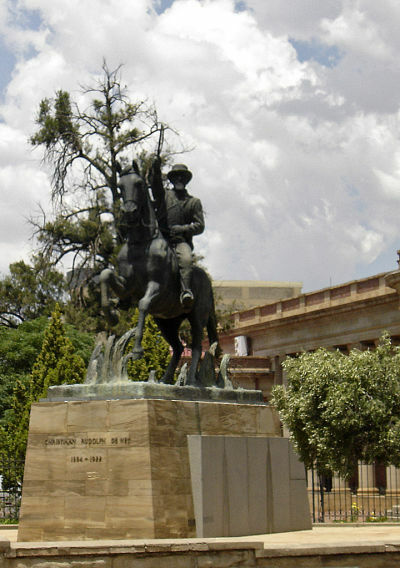 This was largely facilitated by the excellent governance of the Republic ,which acquired the term model republic ,and the compensation from the British for the loss of the diamond rich Griqualand area.In 1899 the city was the site of the Bloemfontein Conference, which failed to prevent the outbreak of the Second Boer War. The conference was a final attempt to avert a war between Britain and the South African Republic. With its failure the stage was set for war, which broke out on 11 October 1899. 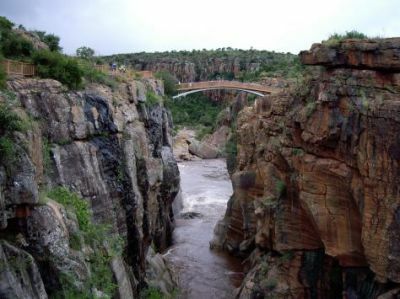 Kimberley is the capital of the Northern Cape Province of South Africa. 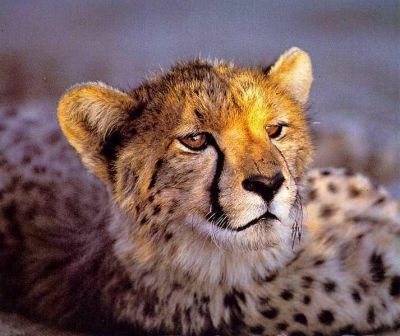 It is located approximately 110 km east of the confluence of the Vaal and Orange Rivers. 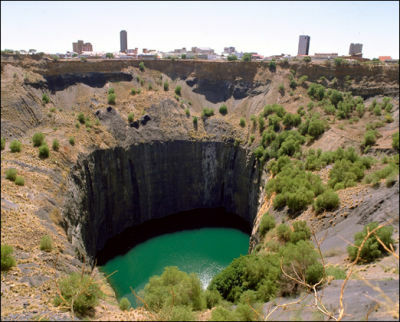 The city has considerable historical significance due its diamond mining past and the siege during the Second Boer War. Notable personalities such as Cecil Rhodes and Barney Barnato made their fortunes here, and the roots of the De Beers company can also be traced to the early days of the mining town.In 1866, Erasmus Jacobs found a small brilliant pebble on the banks of the Orange River, on the farm De Kalk leased from local Griquas, near Hopetown, which was his father's farm. He showed the pebble to his father who sold it. The pebble was purchased from Jacobs by Schalk van Niekerk, who later sold it. It proved to be a 21.25 carat (4.25 g) diamond, and became known as the Eureka. Three years later Schalk van Niekerk sold another diamond also found in the De Kalk vicinity, the Star of South Africa for £11,200. 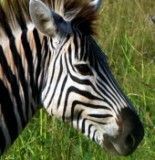 Mpumalanga from Eastern Transvaal on 24 August 1995), is a province of South Africa. 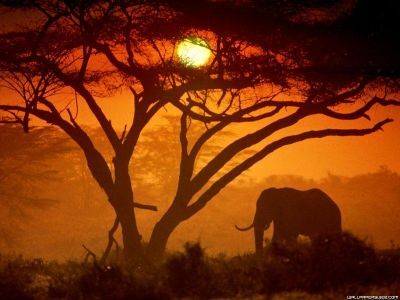 The name means east or literally "the place where the sun rises" in Swazi, Xhosa, Ndebele and Zulu. 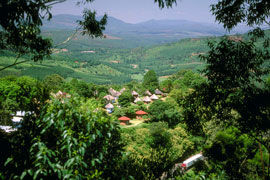 Mpumalanga lies in eastern South Africa, north of KwaZulu-Natal and bordering Swaziland and Mozambique. 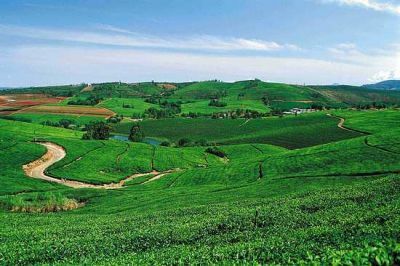 It constitutes 6.5% of South Africa's land area. In the north it borders on Limpopo, to the west Gauteng, to the southwest the Free State and to the south KwaZulu-Natal. The capital is Nelspruit ,recently renamed to Mbombela. 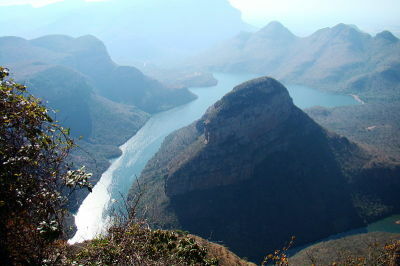 Prior to 1994, Mpumalanga was part of Transvaal Province. 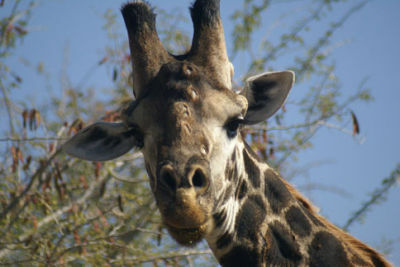 Limpopo is the northern most province of South Africa. It was named after the Limpopo River; "Limpopo" means "waterfalls" in Zulu and other Nguni languages. The capital is Polokwane, formerly named Pietersburg. 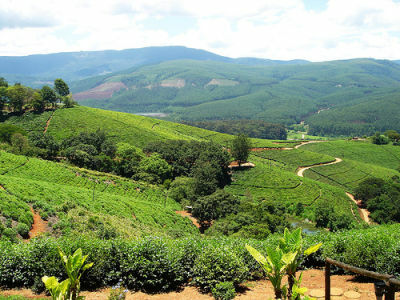 The province was formed from the northern region of Transvaal Province in 1994, and initially named Northern Transvaal. The following year, it was renamed Northern Province, which remained the name until 2003, when the name of the province was formally changed to the name of its most important river–on the border with Zimbabwe and Botswana–after deliberation by the provincial government and amendment of the Constitution. A notable consideration for the name was Mapungubwe, the area where the most ancient gold-using civilisation of the province was discovered a few years earlier. 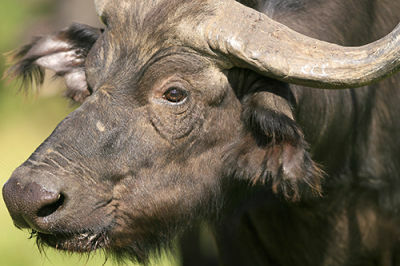 The province contains much of the Waterberg Biosphere, a UNESCO-designated Biosphere Reserve. 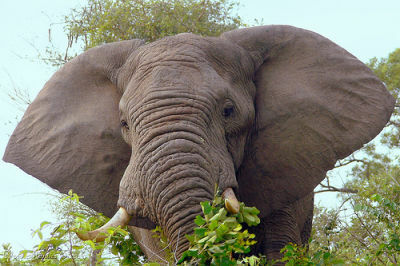 The Waterberg Biosphere, a massif of approximately 15,000 km2 (5,800 sq mi), is the first region in the northern part of South Africa to be named as a Biosphere Reserve by UNESCO. 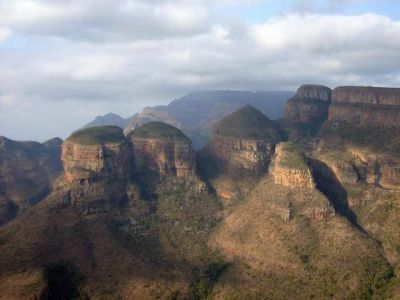 The massif was shaped by hundreds of millions of years of riverine erosion to yield diverse bluff and butte landforms.The Waterberg ecosystem can be characterised as a dry deciduous forest or Bushveld. Within the Waterberg, archaeological finds date to the Stone Age. Nearby are early evolutionary finds related to the origin of humans.